Children love play dough -- so why not put a festive candy cane twist on a classic favorite this holiday season? 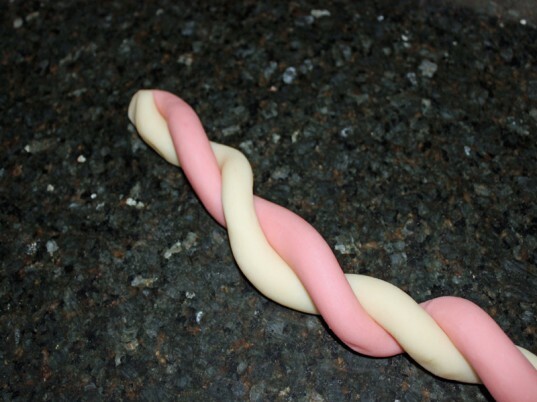 Making natural candy cane play dough is a fun activity to do with your kids. Or, you can make up a batch for stocking stuffers or gifts for your children's friends. Either way, you will have a fun craft that doubles as a terrific holiday offering. 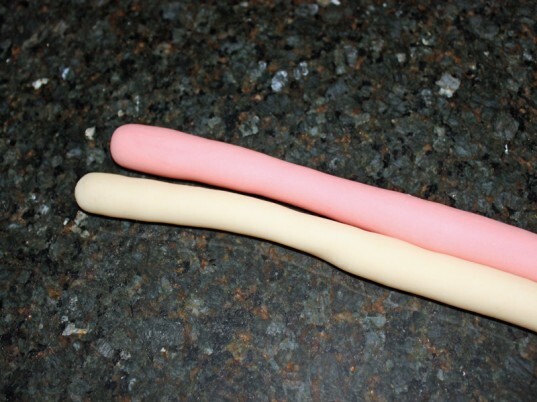 The best part, natural candy cane play dough is simple to make and won't harm your kiddos if they accidentally lick their fingers. 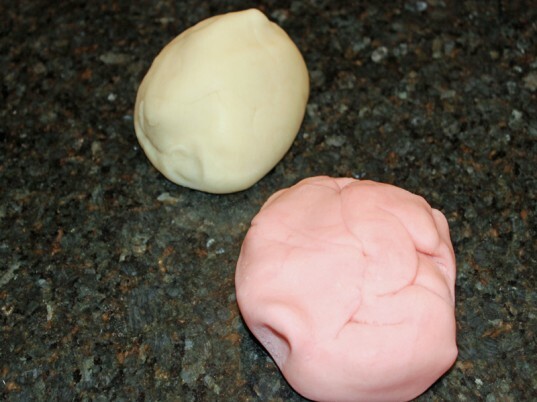 Read on to learn how to make this fun play dough in just a few simple steps. Step 2: Heat it Up! 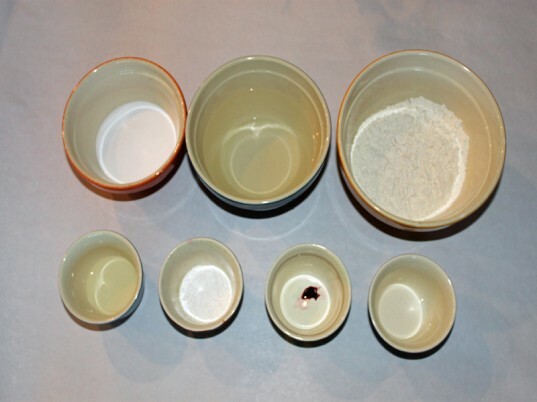 Add all of your ingredients except the colorant and essential oil to a sauce pan. 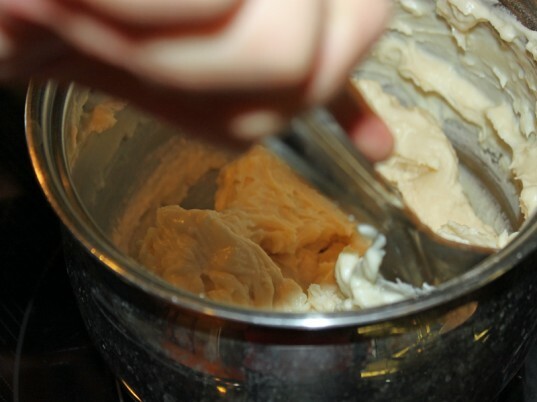 Stir continuously over medium-low heat until the mixture thickens and is no longer sticky. Step 3: Add a Little Scent! Let the dough cool, then turn it out onto your counter-top. 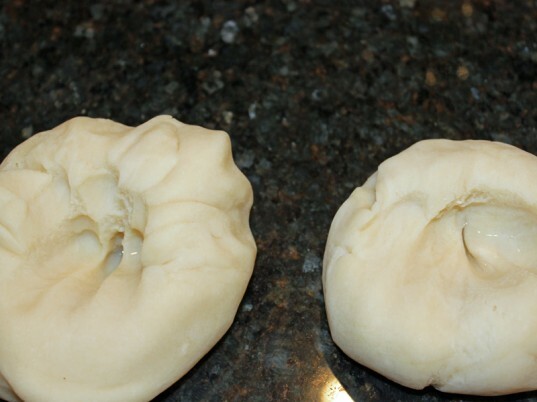 Separate the dough ball into 2 smaller balls and knead. Add a couple of drops of peppermint essential oil to each ball. Step 4: Add a Little Color! Add a couple of droplets of natural food colorant to one of the balls to create the reddish pink color! Step 5: Roll it Out! Divide the 2 large balls into smaller hand-sized balls and then roll out into logs with your hands. Roll each of the smaller balls out into long log of each color. Then, twist the two colors together into a candy candy shape. 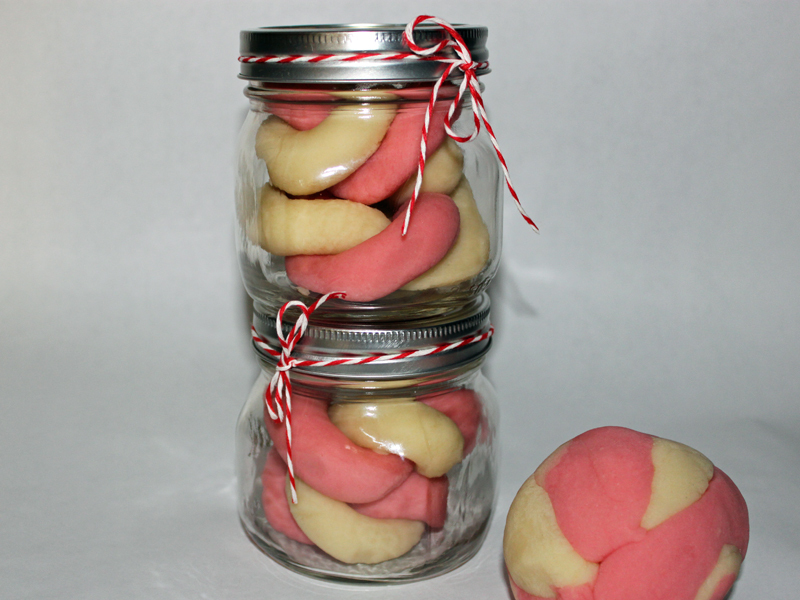 Add the play dough to a mason jar and adorn with ribbon! 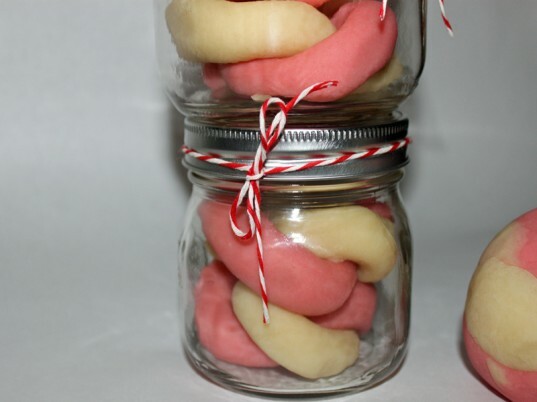 Give these yummy scented natural candy cane play dough gifts to your children this holiday season!